The multifunctional ceiling mount MultiCel63100 is a great product for a great price. This versatile ceiling mount can support a projector with the weight of up to 25kg and is compatible for 99% of all projectors. 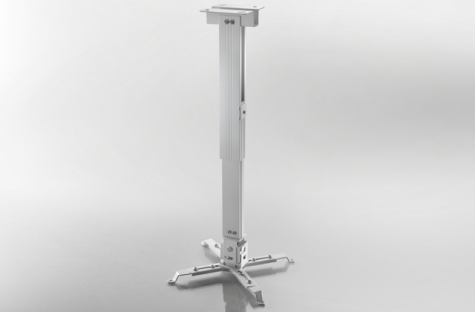 The MultiCel63100 mount provides an extension pole with integrated cable management. The distance to the ceiling is adjustable from 63 to 100cm. It can be tilted and swivelled to a minor degree. Some larger home cinema units from Epson, Sony, JVC, Panasonic etc. Please get in touch with us to check suitability with your projector.